Everywhere you look now there are people – the majority young girls – taking photos of themselves, whether it is on the beach, up a mountain, at a party, or in front of a famous landmark. It is increasingly common for selfie sticks to be used to enhance the poser’s look, by providing better angles of their face and other bits. These are then instantly uploaded to Instagram and the wait begins. Who will give the first like or comment? How many likes will they get in the first hour? An instant hit follows if someone gets some likes and/or comments within five minutes of uploading. The hits only last for a moment and then it is onto taking the next set of photo shots hoping one of these is even more likeable, stunning and stands out from the others that their followers are taking in their parallel worlds. Last summer while on vacation on a Greek island we saw the Instagram craze in full throttle while on a quiet boat trip to a few of the less populated beaches. A group of twenty-something year old Greek girls, covered in shiny skin salt spray (that was frequently applied to make their skin look like it does for models on the cover of glossy magazines) posed on the boat, sometimes just a few inches away from us – for the whole 8 hours – completely oblivious to anyone else, but themselves. At times they took up to 100 shots per hour. The trouble was that their poses were as fake as their tans. The fluttering of the eyelids, the pushing of their cleavages out of their bikinis and the pouting of lips just did not cut the mustard. Well not for the rest of us on the boat. They were also on the chunky side and, in our minds, not at all attractive. 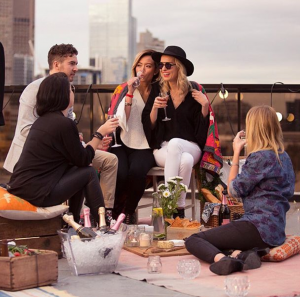 The same happened yesterday when I was on a wine tour in the Yarra Valley in Australia. A group of young girls, wearing floppy hats, large insect shades and high waisted shorts joined us on the bus. Instead of listening to any of the commentary they spent the whole time shooting snap after snap, uploading the best of their batch at half hour intervals and then waiting anxiously for the notifications to start pinging likes and comments on their phone. I don’t think they took in anything about the production of the wine, the beautiful scenery or what the different wines were. 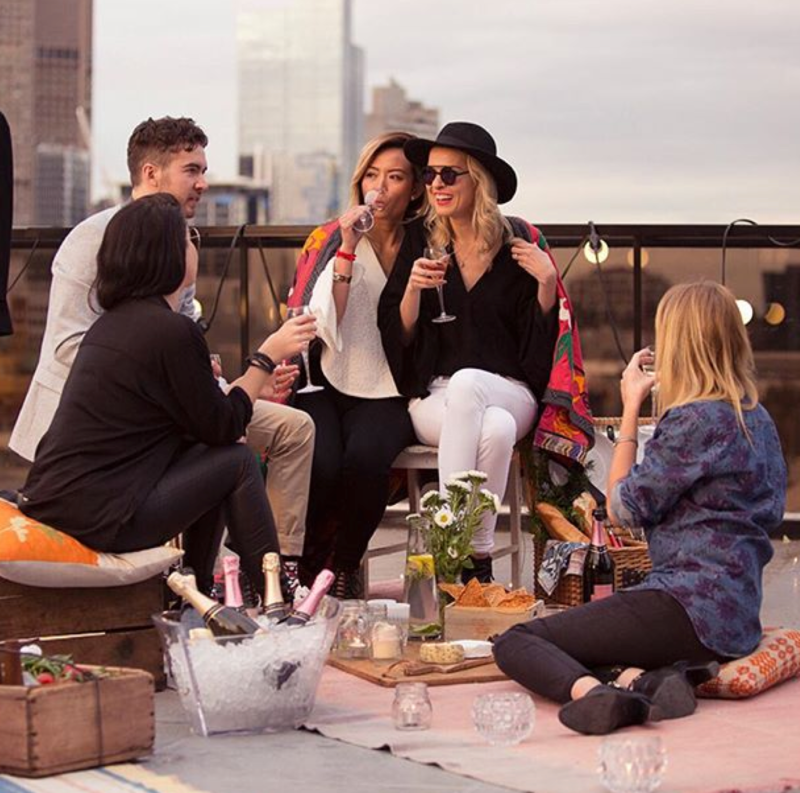 The time they seemed most animated was when taking photos of themselves posing by glasses of champagne at Chandon Australia (the image is not of them but another one from @Chandon Australia). There is a viral video at the moment doing the rounds called ‘Instagram Husband’. It captures how many young girls now use their partners as extended selfie sticks to get more extreme shots of themselves to post in their virtual worlds. It is all about the ultimate posing and most gratifying posting now.The boyfriends and husbands are left feeling like second fiddles, largely being overlooked. 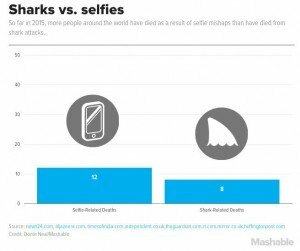 According to Mashable, more people died in 2015 from accidents taking selfies than were killed by sharks. 12 people died falling off cliffs, stairs and other precipices whereas only 8 people were killed by sharks. That stark statistic puts the latest narcissistic craze into perspective. The number will surely rise as tourists become ever more daring in order to get ever more likes. It is hardly surprising that increasing number of parks and tourist attractions are now banning the selfie stick because they dont want dead tourists in their midst. 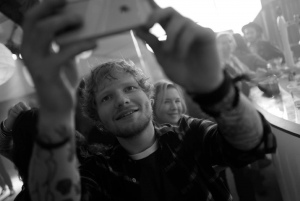 Meanwhile, superstar singer and songwriter Ed Sheeran announced recently that he is “taking a break” from social media to begin seeing the world through his own eyes and not always via a screen. He has a phenomenal 16 million Twitter followers and 5.5 million Instagram fans lapping up his snaps. This random photo got 393,000 likes and over 5000 comments/strings of emojis (“you look cute”, “wow”, “so amazing!”, “love this photo”). Good on you, Ed. Just make sure you don’t take a smartphone or camera with you on your travels.